Western Region Puerto Rican Council, Inc. - Western Region Puerto Rican Council, Inc.
Advance Tickets Available Now ! Only $20.00 until 06/21/19 !!! ​​Click here to ​buy your DDSJ tickets via PurplePass, today! Ticket price will be $25.00 at the Door on 06/22/19. For 2019, the Western Regional Puerto Rican Council (WRPRC) has moved its annual celebration of El "Dia de San Juan" Salsa Festival to Swiss Park in Newark, CA. There are still openings for FOOD VENDORS at El "Dia de San Juan" Salsa Festival 2019! So if you are interested in sharing your Sabor Boricua or any other Edible Specialties, hurry and sign-up before the Food Vendor Spaces are all taken! Don't wait, submit your Food Vendor Applications ASAP! Click here to access our Food Vendor Application and instructions. Click to ​buy DDSJ tickets via PurplePass, today! Click on PurplePass, ​buy tickets today! ​El "Dia de San Juan"
No coolers, No outside food or drinks, No canopies, No Pets allowed. ​This is a family event, dress code enforced. Click to visit the FAQ for the full list of Festival rules. El "Día de San Juan"
The Western Regional Puerto Rican Council (WRPRC) is proud to announce an exciting new venue for our Annual El "Dia de San Juan" Salsa Festival. ​For 2019, the WRPRC has moved its annual celebration to Swiss Park in Newark, CA. This move is part of our ongoing effort to bring to you the best value our resources can provide. While we are sad to let History Park go, this move was deemed necessary due to circumstances beyond our control. ​Please remember the goal of the WRPRC is to provide scholarships to our best and brightest so our youth can enroll in the colleges of their choosing. Their future is our future. Walk through the doors to our Festival! We are looking for volunteers for our 2019 event. Please click on the link for detailed Volunteer Opportunities . Click on the link to learn more about our participating Bay Area Puerto Rican Clubs . 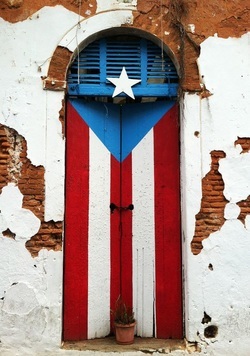 Click here to learn about the history of Puerto Rico! "Live Each Day As Though It Were Your Last"